So far this year the Leaf has sold around 43,000 units in the Europe, with around 70% of owners coming from ICE's. It also continues to sell incredible well in Japan, with annual sales numbers up 234%. 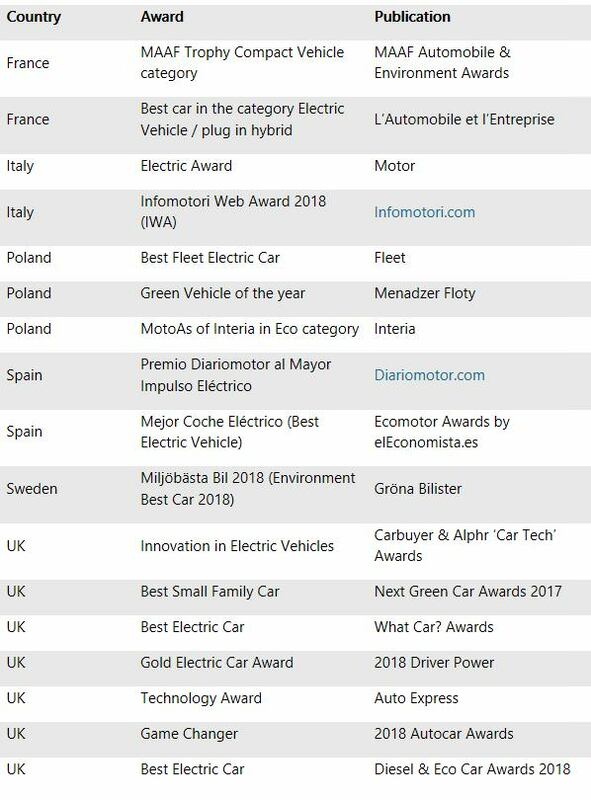 Here's a look at the extensive list of awards the 2nd gen Leaf has already received. All of the new Leafs success is a real indication that consumers with notions of range anxiety has been largely exaggerated. I think the issue is that people need to transition away from thinking about how much they travel in a week and instead focus on what they typically use in a day. MB's electric car program is taking off, set to target a number of competitive segments. Down the road I bet it will result in cheaper rivals that will give brands like Nissan a run for their money. I think luxury automakers like MB and BMW are still quite aways off from delivering affordable entry level options. If it becomes profitable for them to do so, then that'll mean the cost of production has dropped across the board. The 2 series sedan sold overseas isn't far off from launching in America. Already we have the 2 series coupe that does well at performance and convincing Americans that compact cars are just as enjoyable as their larger siblings. The 2 series starts at $35k and there have been no mentions from BMW that it will be going electric anytime soon. We will have to wait and see how much of a price hike the 3 series EV receives over the ICE model. I looked at what EV's are being offered right now and it seems the market just isn't ready for cheaper EV's. But it comes down to someone taking the leap and starting it. Tesla can do it with a product under the Model 3. For a small car maker they have been aggressively launching products. Offering cheaper entry variants requires high volume, so it probably wont be until after the 2020 shift when electrics are expected to become more mainstream. With new models like the Kona EV offering +250 miles of range, most of the criticisms of the platform are slowly disappearing. Sometimes its a matter of taking risk. Mercedes took a lot of risk when launching Smart Car and as time goes on interest in them only grows. Once autonomous vehicles go into full swing, compact autonomous vehicles will become popular, especially electric ones. Cant wait to see the changes in prices for ride hailing once autonomous taxi's start to become available. I know they have pilot programs currently running around the U.S, but I still think we're a few years off before it becomes available globally.